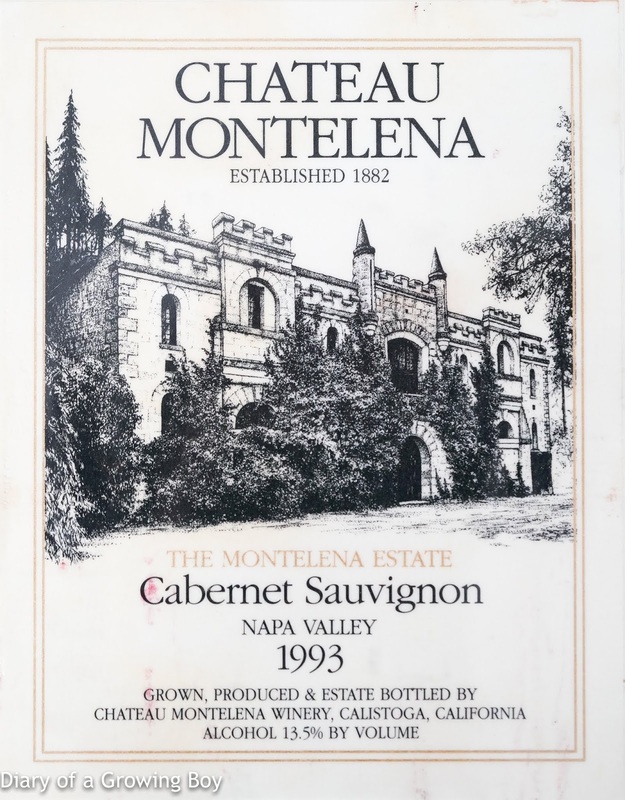 1993 Montelena Estate Cabernet - full-bodied with good tannins and concentration. Sweet on the palate. Delicious but was drunk too quickly by everyone. Bought from Seibu for HKD 595. 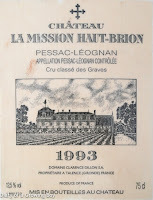 1993 La Mission Haut-Brion - this was opened and decnated about 45 minutes to 1 hour before we drank it. 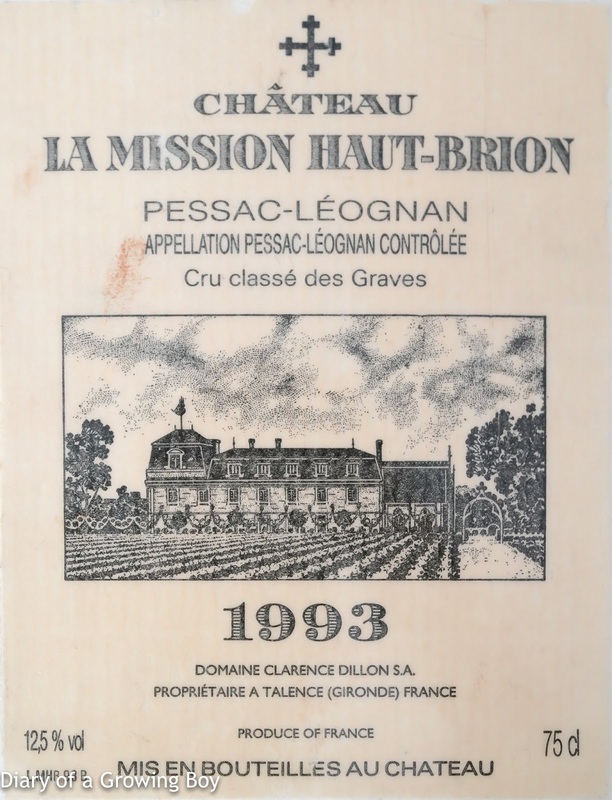 A classic, finesse Bordeaux blend. Nose of minerals, moss and earth. 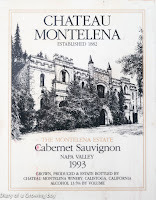 Not much fruit in comparison to the Montelena. Bought from Eslite for TWD 2,640.